Quick tests in PHP debugger did not bring the light on the problem. WordPress doesn’t belong to software which debugging is easy. A lot of filters and actions, which make WordPress so powerful and extensible thing, make it more complex to understanding of code execution logic, as it is not linear some time. I went through WordPress execution cycle from begin to end then automatically the same way once again, without visible reason. Permalink? Let’s check the idea. I had permalink ‘post name’ selected and active by default. When I turned it off, I resolved my problem. But I need the other way as I don’t agree to reject from SEO-friendly permalinks using. Add this line to your theme functions.php file to avoid the problem with single.php twice execution. 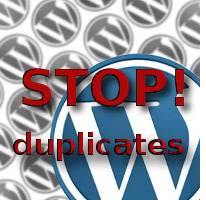 If you meet the same problem with double content rendering, but don’t wish to change anything at your theme you may achieve the same via plugin. Extract PHP file from this archive, place it into your blog wp-content/plugins/ folder and activate new added plugin. It has no options and make its work in silence. 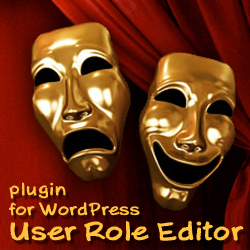 Other way to execute code from this plugin is to place it into wp-content/mu-plugins directory. Then it will work even without activation (‘mu’ at ‘mu-plugins’ means ‘Must Use’). P.S. If you find any side effect of this enhancement, please share your experience with us. This entry was posted on Tuesday, October 30th, 2012 at 13:28	and is filed under WordPress. You can follow any responses to this entry through the RSS 2.0 feed. You can skip to the end and leave a response. Pinging is currently not allowed.